Bert Parnall has been influenced by law for as long as he can remember. When Bert was born, his father, Theodore, was a law professor at the University of New Mexico School of Law and then became an itinerant resident legal advisor in more than 10 countries, many of them impoverished. For young Bert, living in such far-flung locales as Senegal, Egypt, Ethiopia and Tunisia provided valuable early experience that helped to create the lawyer he is today. His law practice today is committed to doing precisely that. 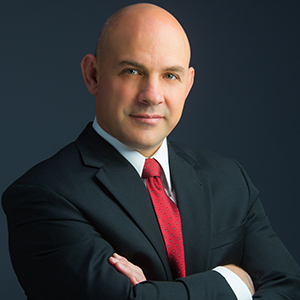 Ever since launching Parnall Law Firm, LLC in 2009, he has focused on trying to make lives better for people who have been injured through no fault of their own. Although he was influenced by his father (now an emeritus professor at the law school), Bert’s strongest motivation earlier in life was to be a writer. While pursuing a major in history and French at Rice University in the early 1990s, he spent a year studying at La Sorbonne in Paris in 1991. He received his B.A. in 1993, and focused on writing — mostly fiction and plays — for a year before entering New Mexico University School of Law. Still not convinced he wanted to be a lawyer, he took time off during law school to return to France, where he wrote and played in a blues band for six months. He came back to the U.S., finished law school in 1997 … and returned to France again to write. Finally, he returned to Albuquerque for his first law job, as a contract lawyer in a general practice, and soon realized that he wanted to be a criminal prosecutor. He handled his first murder trial during his first year in the 13th Judicial District Attorney’s Office. Over the course of his four years there, he prosecuted criminal defendants in 18 felony jury trials. His experience there provided a sense of satisfaction that he was helping to make lives better for crime victims, but he wanted to have a more direct hand in working for crime victims and injury victims and decided to move into personal injury plaintiff’s work. He ultimately joined forces with attorney Alan Malott, representing victims. When Malott was named to a judgeship on the Second Judicial District Court in 2009, Parnall took over the firm. Since then, Parnall and the other lawyers in the firm have helped to recover more than $40 million for clients. In part, this commitment to teamwork and tenacity is a product of Parnall’s own athletic background. He was co-captain of the Albuquerque High School Bulldogs district football champions in 1988, and in subsequent years participated in competitive boxing and judo, in which he holds a second-degree black belt. He is a board member of the Rotary Club of Albuquerque, where he is slated to assume the presidency in 2018. He is also on the board of Popejoy, a local venue for plays and musicals, and is a board member of the New Mexico Law School Alumni Association. In addition, he is on the advisory board of Mothers Against Drunk Driving and is a frequent media spokesperson for the group. His favorite activities away from the office and his other professional and community involvements are raising his kids, hiking, camping, skiing, and judo.